We at the Christian News Journal respect and protect the privacy of our users. Terms and conditions for using this website are also listed below. We may collect anonymous, aggregated data and provide it to our advertisers and other companies that we do business with for market research and statistical purposes. The Christian News Journal may use such information to help determine ways to improve our site. 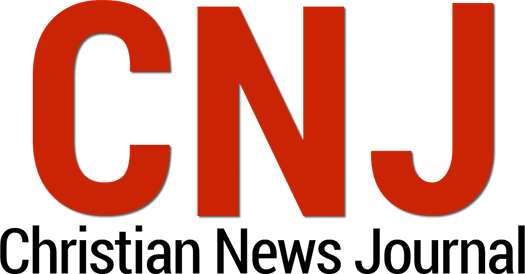 The Christian News Journal reserves the right to publish non-personally identifiable, summary information regarding its website visitors for promotional purposes and as a representative audience for advertisers. Please note that this is not personal information, only general summaries of the activities of our visitors and customers. We do not provide, sell or lease personally identifiable information to any third parties. As an exception, to protect site visitors and the general welfare, the site will release personal information when necessary in order to comply with the law or regulatory authorities. You will receive information from the Christian News Journal when you request to receive such information on the Advertising page, Calendar, etc.. If you submit your email address to the site in other ways, such as submitting a comment or question, we may contact you about receiving occasional advertising specials, or information about the magazine. We do not provide users’ personally identifiable information to our advertising partners. Advertisers will only receive your personally identifiable information if you provide it to them directly. If you have any questions or concerns regarding what is done with your information on any part of the Christian News Journal website, or would like such information deleted from our records, please e-mail us. What are cookies? How do you use them? “Cookies” are text files that are used to collect information about visits that help us create an overall profile of how visitors use our site and how often they come. Cookies cannot be used to collect data from any user’s computer – cookies can only be used in conjunction with the site being visited. See http://www.howstuffworks.com/cookie.htm for more information about cookies. For further information on cookies and their use, see the help instructions delivered with your browser or contact the browser’s manufacturer. You also may occasionally get cookies (web beacons, clear gifs, or similar technologies) from our advertisers. The Christian News Journal does not control those cookies and those cookies are not subject to this policy. Please note that the use of advertising cookies sent by third-party servers is common in the Internet industry. Is the information you collect about me secure? When the site asks you to enter sensitive information (such as your credit card number), that information is encrypted and is protected with Secure Sockets Layer (SSL) encryption software. All of the site’s employees and data processors, who have access to and are associated with the processing of personal information, are obliged to respect the confidentiality of your personal information. What about children using your site – is their privacy protected? In accordance with the Children’s Online Privacy Protection Act (COPPA), The Christian News Journal does not knowingly collect personal information from children under the age of 13 without parental consent. If it is learned that such information has been collected without parental consent, that information will be deleted from the site’s database as quickly as practical or the child’s parent(s) will be contacted to obtain consent for the collection of the information. And we encourage parents to get involved with their children’s online usage and to be aware of activities in which they are participating. Finally, parents should be aware that if a child voluntarily discloses his or her name, e-mail address, etc. on various forums, or chat areas, such disclosure may result in unsolicited messages from other parties. Accordingly, you should discourage your child from doing so. What about my privacy on linked sites? Refreshedmag.com website uses third-party advertising companies to serve ads when you visit our website. These companies may use information (not including your name, address, email address, or telephone number) about your visits to this and other websites in order to provide advertisements about goods and services of interest to you. If you would like more information about this practice and to know your choices about not having this information used by these companies follow the links for each advertiser as listed below. Unless otherwise stated, Selah Media Group and its publications and subsidiaries own the intellectual property rights in the website and material on the website. Subject to the license below, all these intellectual property rights are reserved. You may share content on social media sites provided the content is linked back to this website and/or full attribution is given to this website. You must not conduct any systematic or automated data collection activities (including without limitation scraping, data mining, data extraction and data harvesting) on or in relation to this website without Selah Media Group’s express written consent. You must not use this website for any purposes related to marketing without Selah Media Group’s express written consent. Selah Media Group reserves the right to restrict access to certain areas of this website, or indeed this entire website, at Selah Media Group’s discretion. If Selah Media Group provides you with a user ID and password to enable you to access restricted areas of this website or other content or services, you must ensure that the user ID and password are kept confidential. Selah Media Group may disable your user ID and password in Selah Media Group’s sole discretion without notice or explanation. In these terms and conditions, “your user content” means material (including without limitation text, images, audio material, video material and audio-visual material) that you submit for posting to this website, for whatever purpose. You grant to Selah Media Group a worldwide, irrevocable, non-exclusive, royalty-free license to use, reproduce, adapt, publish, translate and distribute your user content in any existing or future media. You also grant to Selah Media Group the right to sub-license these rights, and the right to bring an action for infringement of these rights. Your user content must not be illegal or unlawful, must not infringe any third party’s legal rights, and must not be capable of giving rise to legal action whether against you or Selah Media Group or a third party (in each case under any applicable law). Selah Media Group reserves the right to edit or remove any material submitted to this website, or stored on Selah Media Group’s servers, or hosted or published upon this website. Notwithstanding Selah Media Group’s rights under these terms and conditions in relation to user content, Selah Media Group does not undertake to monitor the submission of such content to, or the publication of such content on, this website. This website is provided “as is” without any representations or warranties, express or implied. Selah Media Group makes no representations or warranties in relation to this website or the information and materials provided on this website. These limitations of liability apply even if Selah Media Group has been expressly advised of the potential loss. • matter which it would be illegal or unlawful for Selah Media Group to exclude or limit, or to attempt or purport to exclude or limit, its liability. You accept that, as a limited liability entity, Selah Media Group has an interest in limiting the personal liability of its officers and employees. You agree that you will not bring any claim personally against Selah Media Group’s officers or employees in respect of any losses you suffer in connection with the website. Without prejudice to the foregoing paragraph, you agree that the limitations of warranties and liability set out in this website disclaimer will protect Selah Media Group’s officers, employees, agents, subsidiaries, successors, assigns and sub-contractors. You hereby indemnify Selah Media Group and undertake to keep Selah Media Group indemnified against any losses, damages, costs, liabilities and expenses (including without limitation legal expenses and any amounts paid by Selah Media Group to a third party in settlement of a claim or dispute on the advice of Selah Media Group’s legal advisers) incurred or suffered by Selah Media Group arising out of any breach by you of any provision of these terms and conditions, or arising out of any claim that you have breached any provision of these terms and conditions. Without prejudice to Selah Media Group’s other rights under these terms and conditions, if you breach these terms and conditions in any way, Selah Media Group may take such action as Selah Media Group deems appropriate to deal with the breach, including suspending your access to the website, prohibiting you from accessing the website, blocking computers using your IP address from accessing the website, contacting your internet service provider to request that they block your access to the website and/or bringing court proceedings against you. Selah Media Group may revise these terms and conditions from time-to-time. Revised terms and conditions will apply to the use of this website from the date of the publication of the revised terms and conditions on this website. Please check this page regularly to ensure you are familiar with the current version. Selah Media Group may transfer, sub-contract or otherwise deal with Selah Media Group’s rights and/or obligations under these terms and conditions without notifying you or obtaining your consent. These terms and conditions constitute the entire agreement between you and Selah Media Group in relation to your use of this website, and supersede all previous agreements in respect of your use of this website. These terms and conditions will be governed by and construed in accordance with the State of California and any disputes relating to these terms and conditions will be subject to the jurisdiction of the courts of California. Credit for the Terms and Conditions: This document was created using a contractology template available at http://www.freenetlaw.com.